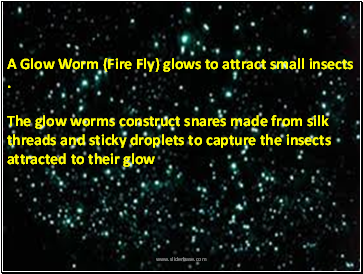 A Glow Worm (Fire Fly) glows to attract small insects . 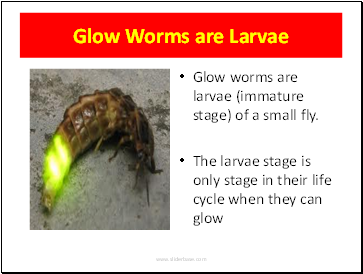 Glow worms are larvae (immature stage) of a small fly. 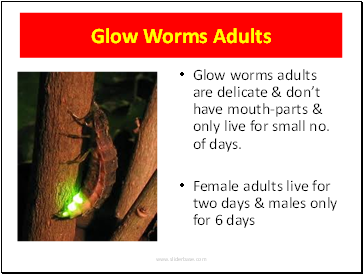 Glow worms adults are delicate & don’t have mouth-parts & only live for small no. of days. 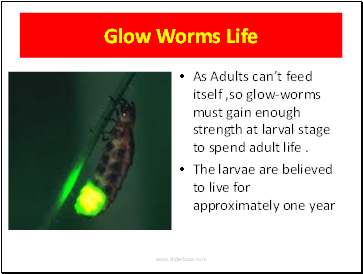 As Adults can’t feed itself ,so glow-worms must gain enough strength at larval stage to spend adult life . 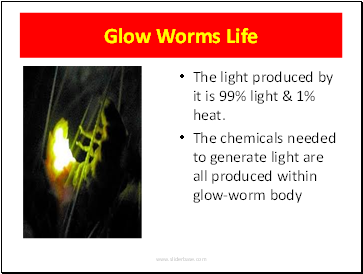 The light produced by it is 99% light & 1% heat. 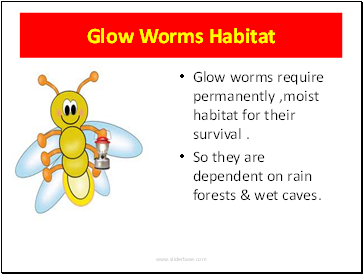 Glow worms require permanently ,moist habitat for their survival . 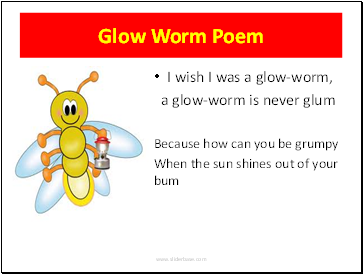 So they are dependent on rain forests & wet caves.